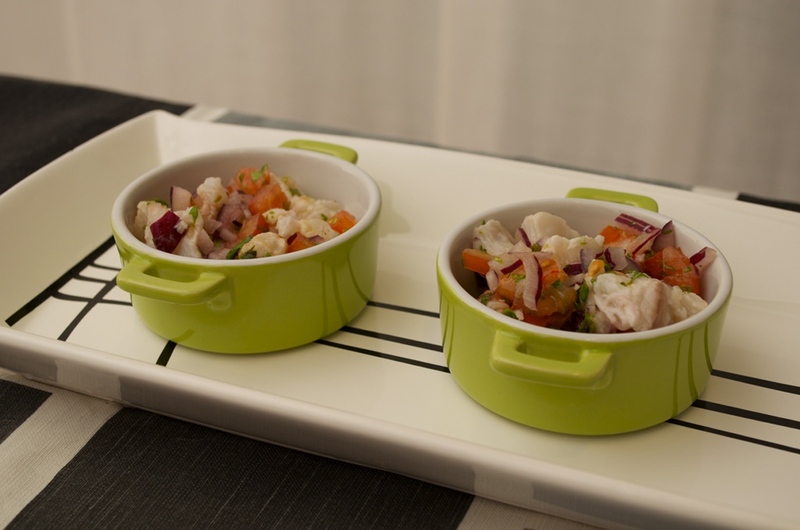 While on the macrocasting for the second edition of MasterChef in Spain I saw this recipe from another contestant, and I could not help ask him the recipe I bring to you today. That’s very easy to do and it’s delicious, unless you don’t like fish near raw. As long as tuna will be for a small period of time cooking, to avoid anisakis you can froze tuna about 48 hours and get out of freezer 8 hours before preparing the recipe. Prepare a sauce to marinate the tuna with teriyaki sauce, salt, ground pepper, and grated ginger, mix well and keep the tuna 20 minutes on each side. To prepare the caramelized onion, cut one onion onto strips, add olive oil in a pan and the onion and some salt. Keep stirring all the time until the onion start to turn golden, then add a bit of sugar and some drops of teriyaki sauce. Keep stirring until the liquid is evaporated. To cook the tuna, use a griddle very hot, add a bit of sesame oil and cook the tuna about 30 seconds on each side. 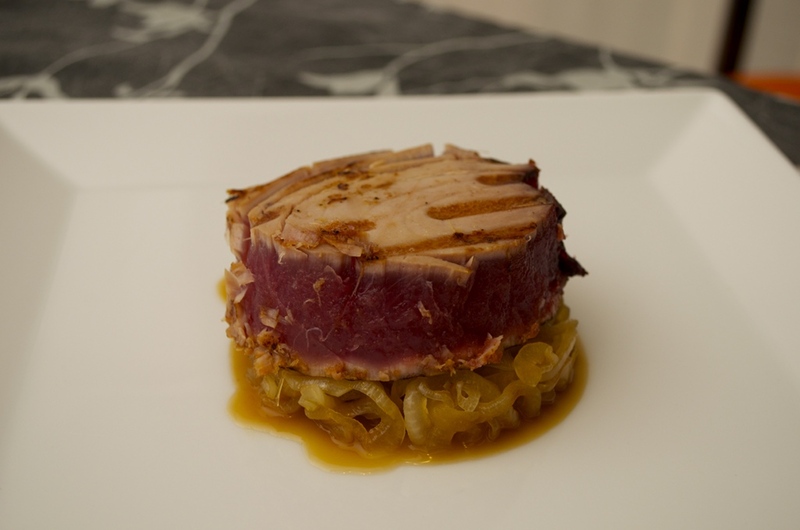 Place the tuna over the caramelized onion and enjoy.